If you still haven't transferred your GTA V Online character and assets from 360 or PS3 to Xbone One, PS4 or PC, time is running out. The character importing feature will shutdown after the 6th of March, 2017. GTA V was released 3 years ago today. 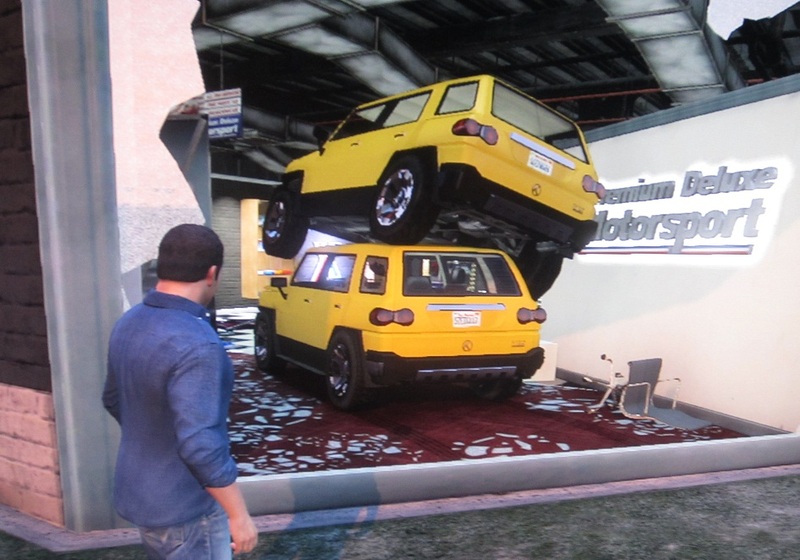 This is my first GTA V photo. I think I figured out the driving. Also, all festive attire from years past will be available during the holiday period for all platforms including original Masks and Clothes from both last year's Festive Surprise and the original 2013 Holiday Gifts. 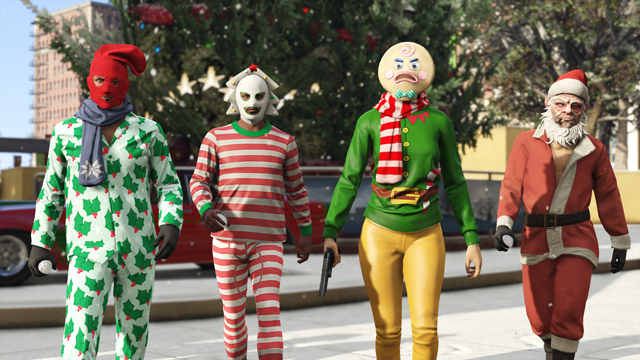 Plus keep an eye out for special gifts on all platforms during the holidays, including the chance for a few snowball fights during the rare phenomenon of Los Santos snowfall in the forecast as well as some special additions to the growing collection of fun Adversary Modes on PS4, Xbox One and PC. Post your best holiday-themed Snapmatic to Social Club between now and January 5, 2016, and our five most festive favorites will earn a GTA$1M award and also be featured at the Newswire. 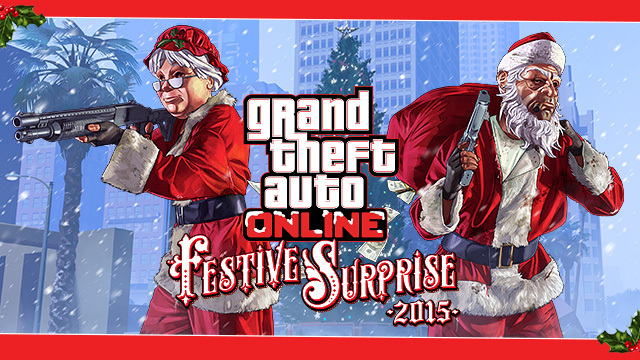 Make sure to tag your photos with #FestiveSurprise2015 on Social Club to be eligible. Official Rules. Tune in tomorrow Tuesday December 22nd at 5pm ET on Twitch or YouTube Gaming for the second annual Official GTA Online Holiday Party Livestream with special invited community guests. Lowriders DLC will be released for PC/XBO/PS4.